. . : : S Y N T R E X : : . .
With its introduction of Polytape™ stitch bonding in the early 1980’s, Syntrex Inc. established itself as the leader in the carpet tape binding industry. By adding synthetic carpet tape binding to the traditional, all-cotton selection, Syntrex has further led the way to innovation in both materials and application. 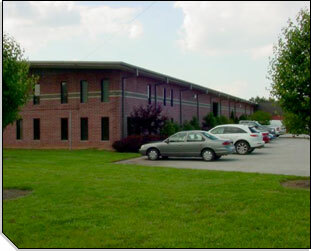 Originally founded in 1980 by its president Mike Foster, Syntrex operates from a 120,000 square foot facility in Dalton, Georgia. With a reputation of providing superior product quality and customer service, Syntrex, LLC offers fabrics in a broad spectrum of colors and widths to domestic and international clients of all sizes. 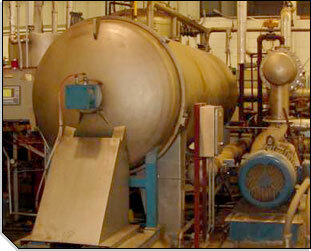 Following the progressive lead of Syntrex, Mega Industries was founded by Tom Foster in 1981. And, like its parent company, Mega has greatly expanded the menu of products and services customarily offered by carpet tape binding manufacturers. In addition to a full array of standardized colors and widths, Mega offers its signature synthetic carpet binding, Veltron™, as well as more traditional cotton tape binding, Polypropylene, and Tricot in commissioned orders of large or small lots. Using the industry’s most advanced technology for color matching, dyeing, and slitting, Mega provides high-speed production and extraordinary customer service to all its clients.